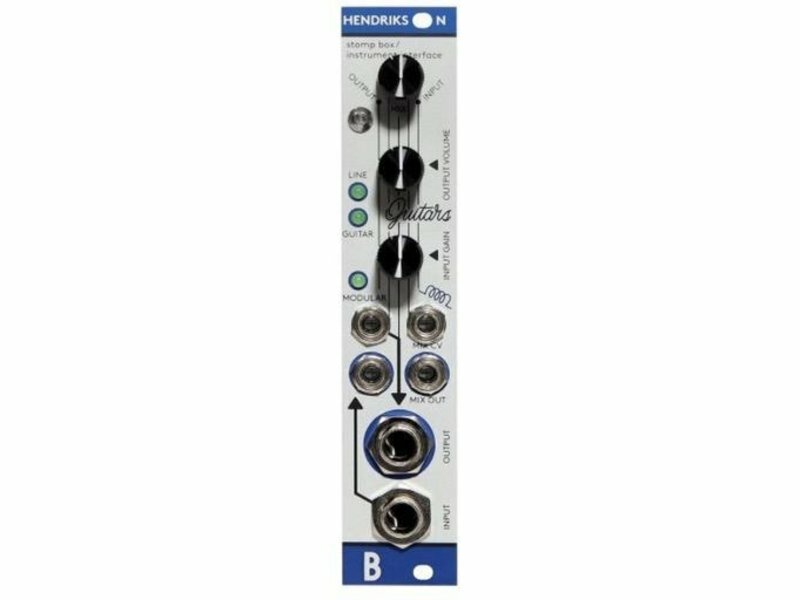 Hendrikson is a guitar/ instrument amplifier and an interface for external effects processors like stomp boxes. The most unique feature is the mix output which is CV controllable crossfader between the signal that goes to the Output and signal that comes to the Input. This means that when used with external effects processor this gives CV control of one of the most important parameters - the Dry / Wet Mix. 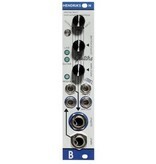 This is especially interesting when using with fuzz or distortion effects for wave-shaping basic waveforms. When Hendrikson is used just as guitar / instrument amplifier the mix out is in fact a VCA after the gain stage, so you can instantly create tremolo effects by plugging the CV to the MIX CV input. Another great application of Hendrikson is CV controllable feedback loop of external effects chain. Simply route the signal from Mix Output back to the Output and listen what happens when the signal comes back thru the Input.